Big Brothers Big Sisters Twin Cities had a fantastic evening at Target Field thanks to the Minnesota Twins who donated 300 tickets to the September 12 game against the New York Yankees. In addition, eight pairs of Bigs and Littles were able to get a sneak peek at what it takes to be a Twin player while attending the Twins batting practice earlier in the afternoon. 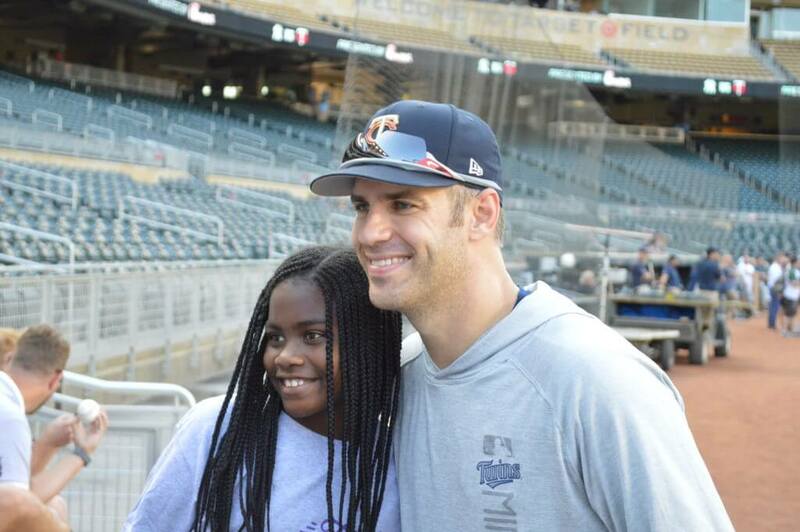 Each Little caught a fly ball and was able to get them signed when Joe Mauer (#7) stopped by to take photos and sign autographs. Before the game started, Bigs and Littles stood on the field and were introduced to the crowd before the first pitch. Many Bigs and Littles were able to attend the game and even stayed a little late to see if Odorizzi was able to pitch a no-hitter. 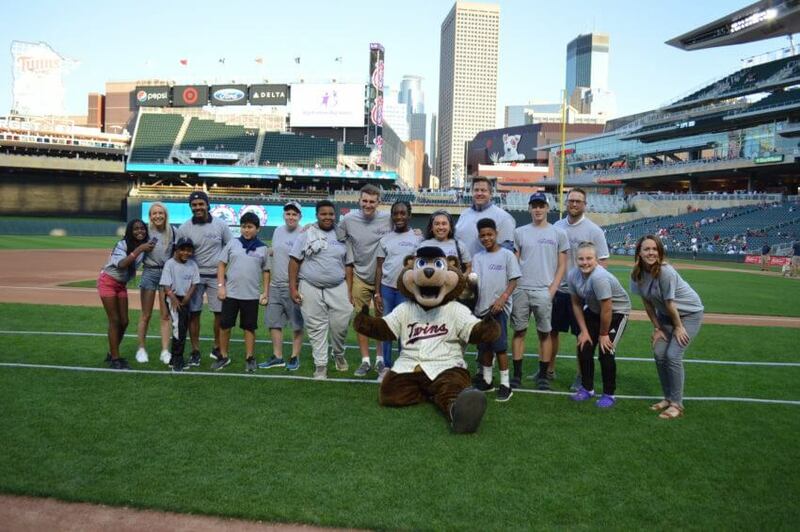 A Big thanks to the Minnesota Twins for making it possible!